High tension belt made to convey heavy materials and withstand high impact. 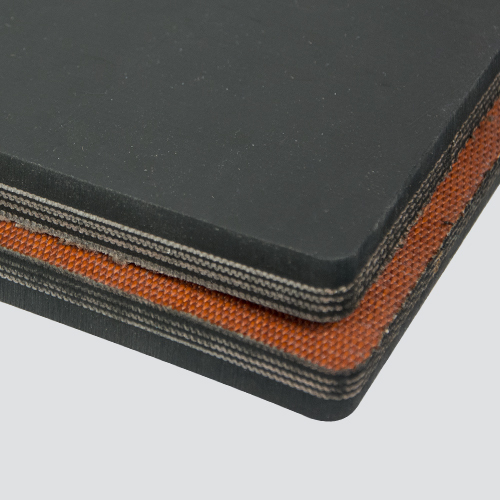 In order to prevent delamination, its tough, durable polyester/nylon carcass has high adhesion levels to the top cover, as well as ply-to-ply. Includes moderate oil resistant cover to withstand the effects of oil coated materials. Great choice for conveying steel, scrap metal, lumber, and logs. Thickness / Overall Gauge: 5/8"